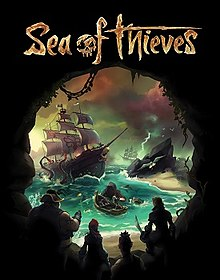 Sea of Thieves is a pirate-themed, shared world adventure video game that was developed by Rare and published by Microsoft Studios, being officially released on March 20, 2018 for both Windows 10 and Xbox One. The game sees players taking on the role of a brand new pirate, one that sees them sailing the seven seas by themselves or with a crew of up to four other players. Not only does the game feature cooperative battles with others, but also player versus player combat as well. During the basic adventure of searching for buried treasure, players can also go on Voyages given to them by three different Trading Companies. These Quests will see players having to solve riddle, searching for and collecting animals, and even battling ghostly skeleton armies in hopes of eventually earning the coveted Pirate Legend Title. Welcome to the SuperCheats Sea of Thieves Guide! Included will be all loads of Tips, Hints, How To Guides, and Strategies to help you become a king of the seven seas! Please use the navigation on the right of the page to see all the great help we have to offer to you within this guide! And don't forget to subscribe to this guide to receive notifications about all of the latest and greatest updates added to it along the way! Get ready for an adventure unlike any other!